Great location, next to the train and bus station. Also city centre is close. Good breakfast. The location is perfect. Just across the road from the bus terminal and the S-Bahn station. Breakfast with good variety. Close location to the Centre of City. Good breakfast with wide choice. Great location near the train station. Good breakfast. Pleasant staff, though we managed to get by with only very basic German as English is not really spoken in this part of Germany. One the edge of the old town, 10 minute walk into the heart of the town with lots of restaurants. 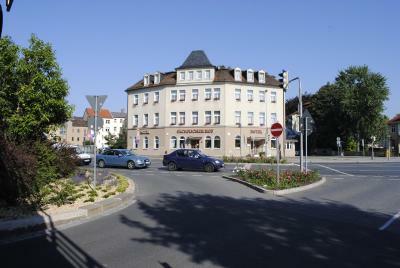 The hotel is opposite the railway station and car parking on site. The rooms were large and very clean. The bed was comfortable. The lady at reception spoke German and was very helpful trying to accommodate our English questions. Decent sized, comfortable and clean room. Good buffet breakfast (although the coffee was not good, at least to my taste). Friendly, helpful staff. Nice breakfast, and the staff was pleasant. They tolerated my limited German speaking ability. Location is very convenient to train & bus station (but note that this increases the noise level). Das Frühstück war sehr gut . Für einen Kurzurlaub sehr zu empfehlen! 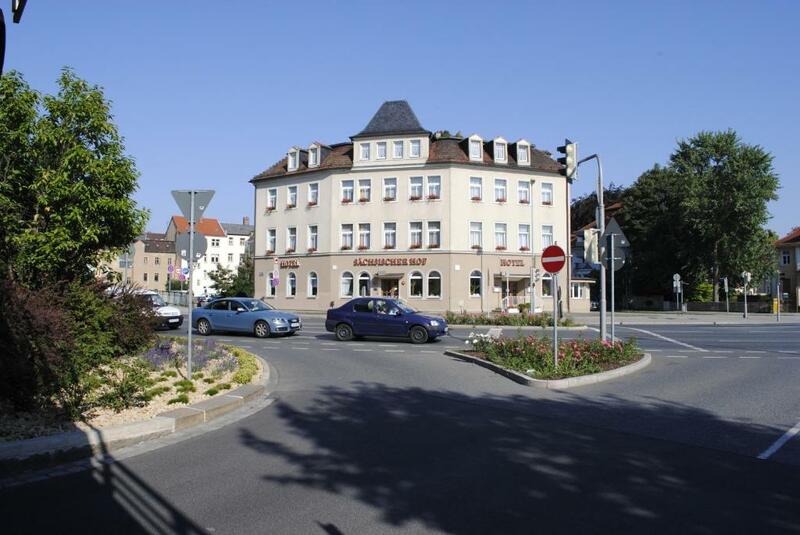 One of our top picks in Pirna.This family-run hotel is a historically protected monument and part of the Gartenstrasse shopping street. It is located between Dresden's Old Town and the cliff formations of the Saxon Switzerland Nature Park. Hotel Sächsischer Hof Hotel Garni offers an outdoor terrace and free Wi-Fi. All rooms are nonsmoking and come with a flat-screen cable TV, mini-bar and a bathroom with shower and free toiletries. From 07:00 (07:30 at weekends) a rich buffet breakfast is served in the Sächsischer's breakfast room.No other meals are available. Guests at the Sächsischer Hof can take a long walk around the surrounding Renaissance and Baroque-style buildings. The hotel provides a free car parking space and a secure bicycle storage room. When would you like to stay at Hotel Sächsischer Hof Hotel Garni? Homelike room featuring a flat-screen TV, mini-bar and complimentary toiletries. House Rules Hotel Sächsischer Hof Hotel Garni takes special requests – add in the next step! Hotel Sächsischer Hof Hotel Garni accepts these cards and reserves the right to temporarily hold an amount prior to arrival. Please note that the hotel is located on 3 floors and there is no elevator. Please inform Hotel Sächsischer Hof Hotel Garni of your expected arrival time in advance. You can use the Special Requests box when booking, or contact the property directly using the contact details in your confirmation. Wi-fi connection was week. I was there during winter, there was no heating in the bathroom, it was very cold there! There is no elevator to get to your room, which they made very clear in their ad. So just beware of that and ask for a room on the lower floor if you have problems with stairs. Decor is a little dated. HOT. The room was so hot I coundn't sleep. No air conditioning and no fan and when I opened the window, the noise of the trains and main road passing by the hotel was too loud. (couldn't hear them with the windows closed) I am not sure if this weather was typical for Pirna in April, however it was a very hot night. The room was so hot our chocolate melted. Unfortunately we had a sleepless night. Room was on the third floor, with no lift. The floorboards in our room creaked at lot. I have stayed here twice. The first time I had a third floor room, which was cramped due to the dormer windows. The second floor room felt comparatively spacious.